Detailing the physical features, habits, territorial reach and other identifying qualities of the True Katydid. 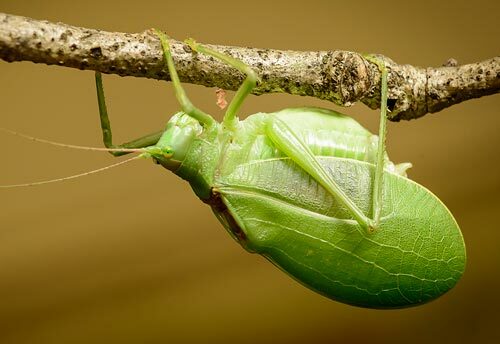 Bright green True Katydids are more often heard than seen thanks to their brilliantly executed camouflage. 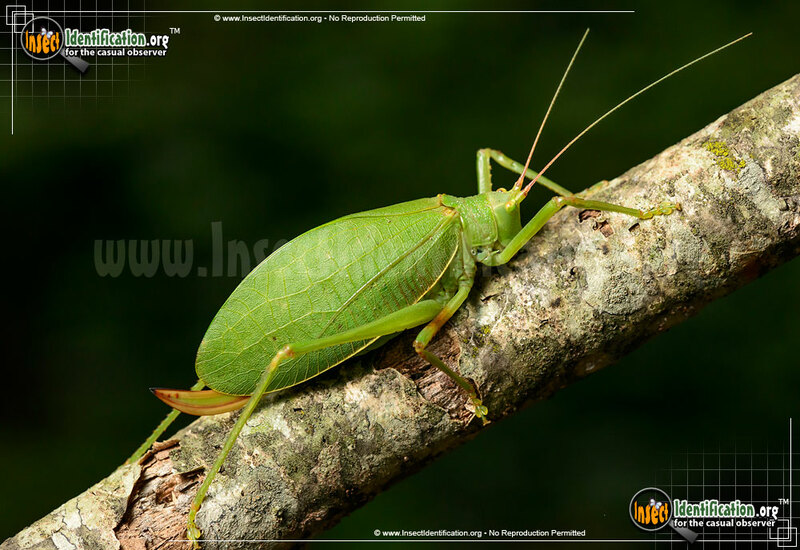 True Katydids, or Northern Katydids, are great leaf mimics. The veins on their oval-shaped green wings look just like the veins on a tree leaf. 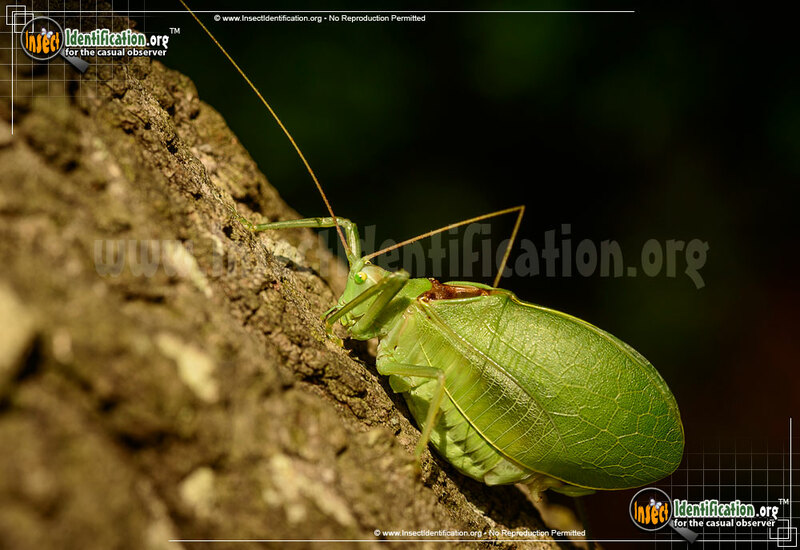 This makes them virtually invisible on any tree in the forest. 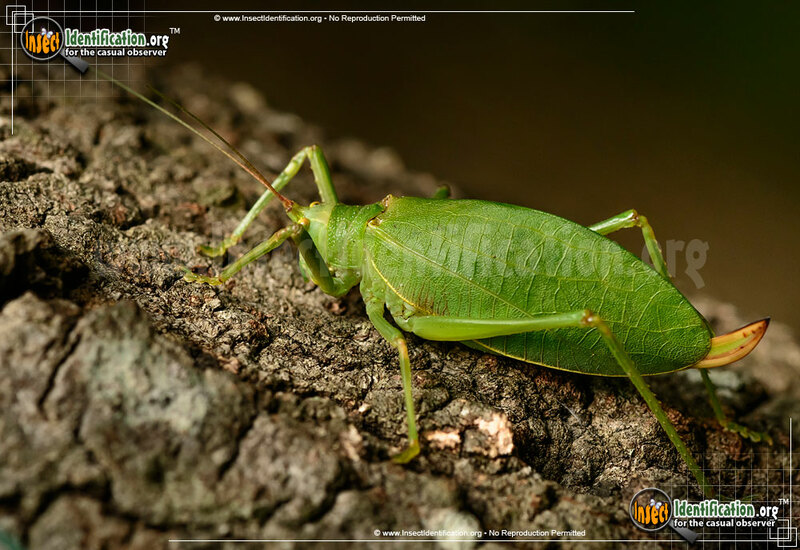 When standing still, they are easily overlooked as part of a branch or twig. Males have a brown patch in the shape of a triangle near the head. 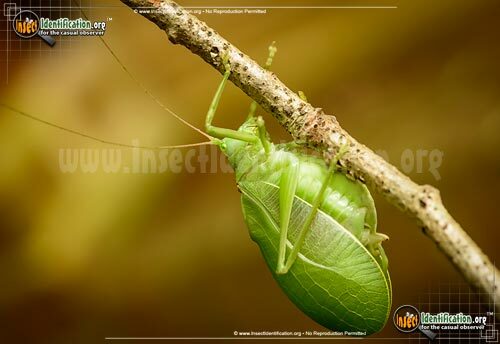 This so-called 'saddle' resembles the dried out parts of leaves or stems so the insect's camouflage is still in tact. 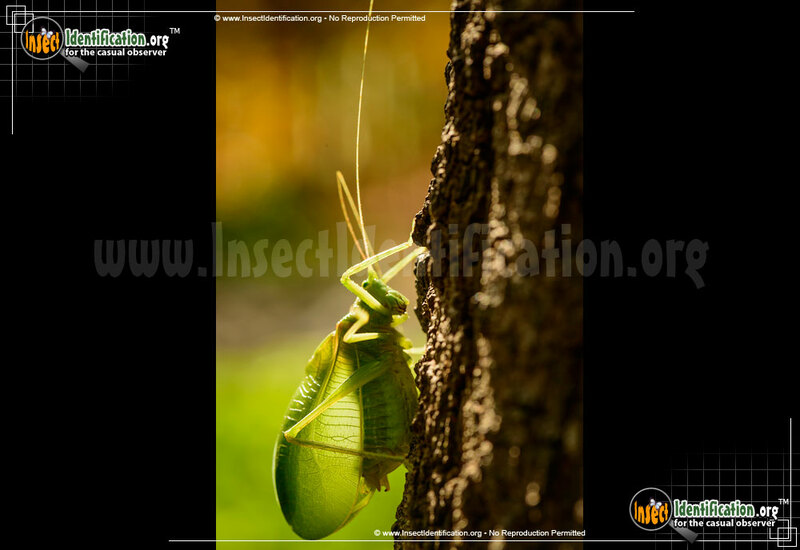 Females have a curved ovipositor that looks like a thick scimitar (sword). Both have long antennae. Though they have wings, the True Katydid does not use them much. It is fond of jumping and walking. Males have a loud screeching call that is usually heard at dusk in the summer. This call is used to attract females, who often respond with their own call, which sounds like scraping. Females lay fertilized eggs in tree bark or inside stems or twigs. Adults and larvae eat leaves.